Napa, CA & Jackson Hole, WY – Recent Top Chef Alum, Chef Elizabeth Binder, and Bunnery Natural Foods have teamed up to create a collection of recipes, which are a delicious twist on the traditional breakfast. The recent collaboration brings together Chef Elizabeth Binder’s love for cooking with local, fresh ingredients and Bunnery Natural Food’s all-natural products. With the motto “cooking from the heart with integrity,” Chef Elizabeth Binder, a Napa Valley based mother of two young children, is the ideal chef to collaborate with the wholesome, family-run granola & breakfast food company. Chef Binder and Bunnery Natural Foods’ objective is to create unconventional breakfast recipes. According to Mintel, the estimated $12.5 billion breakfast foods category has experienced positive performance in recent years, posting gains of 19.5% in dollar sales from 2007 to 2011. Major national epicurean magazines have recently been introducing innovative recipes and twists on traditional staples such as Scallion Pancakes, Lemon-Ricotta Pancakes and Cinnamon Polenta Pancakes. Chef Binder’s innovative dishes strive to support this trend and offer even more unique ways to enjoy breakfast. Chef Elizabeth Binder had an array of culinary experiences leading up to her appearance on the Emmy and James Beard-winning series “Top Chef” in 2012. Bunnery Natural Foods is an artisanal company based in Jackson Hole, Wyoming that creates 100% natural granolas, oatmeal and pancake & waffle mixes. Together, this dynamic duo have come up with some irresistible recipes including Bunnery Oats, Sunflower Seeds & Millet (O.S.M.) Double Chocolate Pancakes with Strawberries and Mascarpone and Bunnery O.S.M. Waffles with Vodka Cured Salmon. Click here for detailed recipes for these and other creative ideas using Bunnery Natural Foods' delicious blends. Executive Chef Elizabeth Binder was born and raised in South Africa where she attended the internationally recognized Christina Martin School of Food and Wine in her hometown of Durban. After working in South Africa, where at the age of 19, she became head chef at luxury hotel, Blue Mountain Lodge’s restaurant and cooked for F.W. de Klerk and Nelson Mandela, and the UK, where she cooked for Sir Terrence Conran’s Del Ponte and Sally Clarke at Clarke’s, she spent time traveling the globe to further deepen her knowledge of cuisine and experience of kitchens around the world. Seeking her next culinary adventure, she then moved to San Francisco where she worked with Traci de Jardin’s original team and eventually became the Executive Chef at award-winning, Italian-inspired Bar Bambino. In 2012, Binder was one of the four finalists on the Emmy and James Beard-winning series Top Chef. 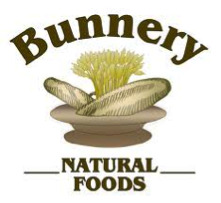 Bunnery Natural Foods is a producer of all-natural, grain-based foods located in Jackson Hole, Wyoming. Bunnery Natural Foods granola blends and trademarked oats, sunflower seeds and millet (O.S.M) products are made from original recipes that have remained largely unchanged since the bakery’s beginnings. Bunnery Natural Foods owner Gérard Yvernault, a Jackson Hole resident since acquiring The Bunnery Bakery and Restaurant in 1990, spent much of his career in the luxury wine import sector before launching Bunnery Natural Foods products. His insistence on the highest standards of quality, authenticity and balanced flavor translated seamlessly to the natural foods sector. For media inquiries, images or interviews, please contact Skye Morgan of Charles Communications Associates at press@charlescomm.com or 415.701.9463.